How much do I need to retire comfortably at 65? Liam Shorte explores how we can make the right decisions as we approach retirement. This is a case study looking realistically at a typical middle-class couple’s combined super and personal wealth and their desired income in retirement at 65. They both have reasonable, but not huge, super and like most families, they have one investment property, a few shares, as well as some cash. They are looking for some advice to give them the confidence to be able to plan for their retirement. They have seen the ASFA Retirement Standard and its estimate of $59,160 per year to fund a comfortable lifestyle. However, looking at what that covers, they feel they have worked hard and expect more from their retirement funds. 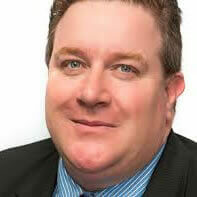 We will examine the sustainability of the income they say would be required, $70,000 per annum through to their life expectancy based on their current assets. They would also like to know how sustainable their income would be if they stretched the limits and chose to have an $85,000 or $100,000 per year lifestyle in retirement. Based on the assumptions above, ASFA calculated how much 65-year-old retirees need for a comfortable retirement. • No minimum total wealth required on last death. No inheritance for kids other than their home. Peter Piper and Tricia Piper are both aged 63. They are both looking to retire in two years at 65. Both currently have employment income of $70,000 per year. 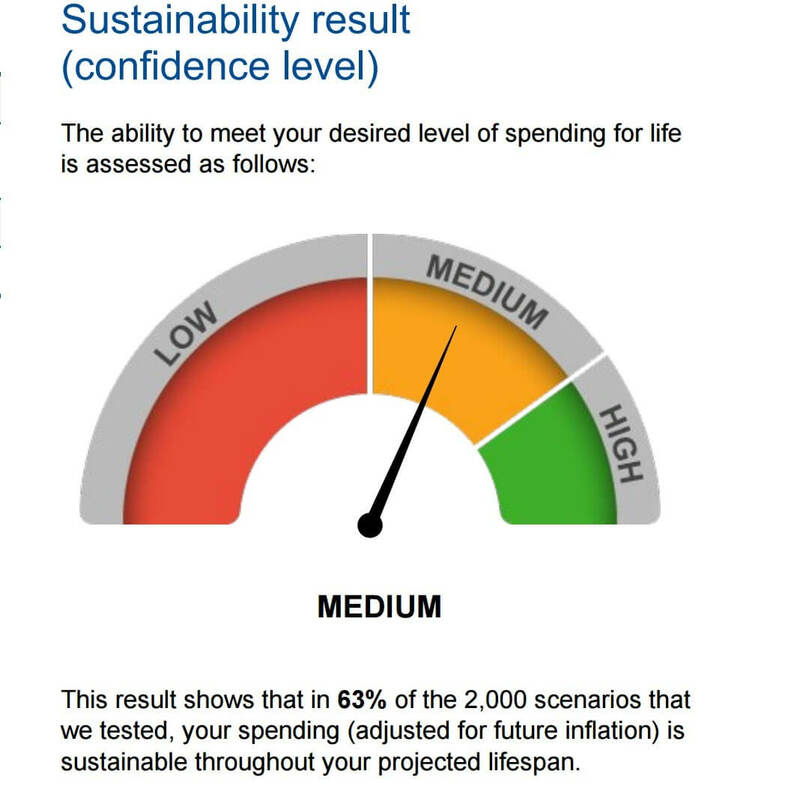 For this example, I will use an Accurium retirement health check report to provide sustainability projections on a range of desired incomes for clients and show from where that lifestyle is funded over time and when the capital is likely to run out based on stochastic modelling of more than 2,000 different scenarios. How comfortable can Peter and Tricia be that their funds will last at each level of spending? 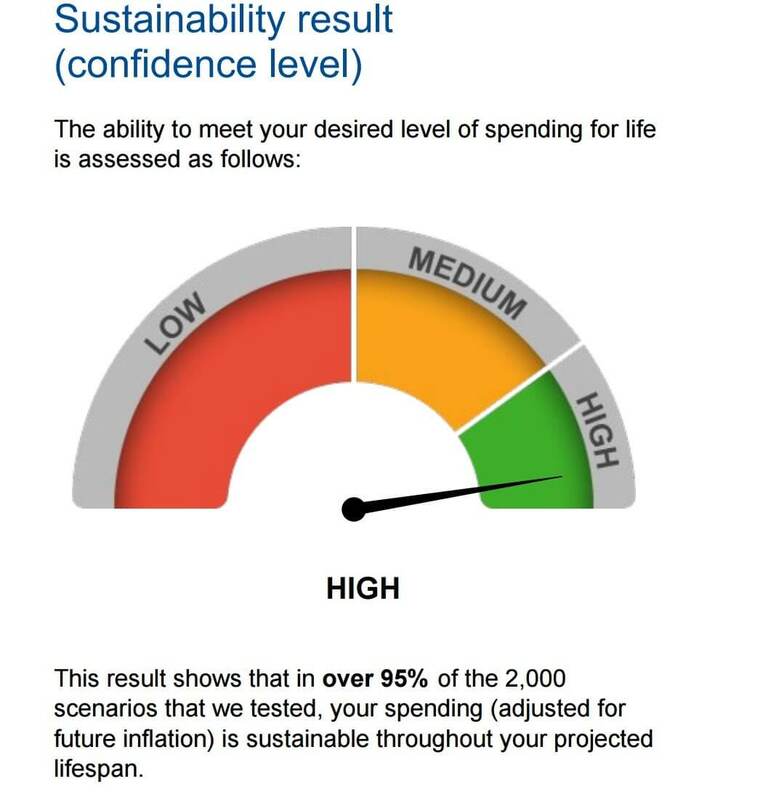 Clearly, this shows that the Pipers can be less confident that their money will sustain an initial spending pattern of $85,000 for their life expectancies. Some people may be willing to take this risk based on their own personal circumstances, views on their longevity and desired lifestyle early in retirement. You can see that while their assets can comfortably support an income of $70,000 per year in retirement, it is less certain if spending increases to $85,000 and very unlikely at $100,000. 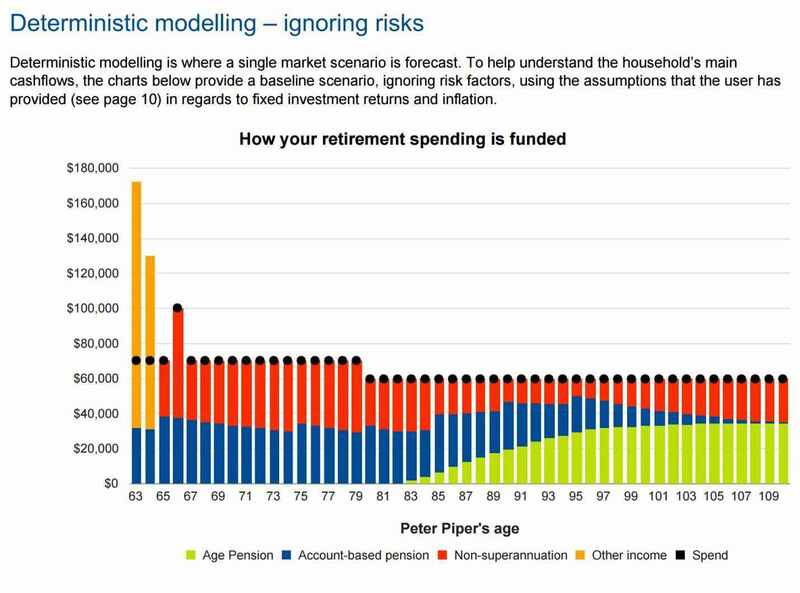 This puts Peter and Tricia in a position where they can have confidence around their spending patterns in retirement. Where does the cash flow come from? Let’s look at the sources of income for the $70,000 projection through their lifetime. You can see that employment income will flow in for two more years, after which the $70,000 will be funded from account-based pensions and rental income from the property. 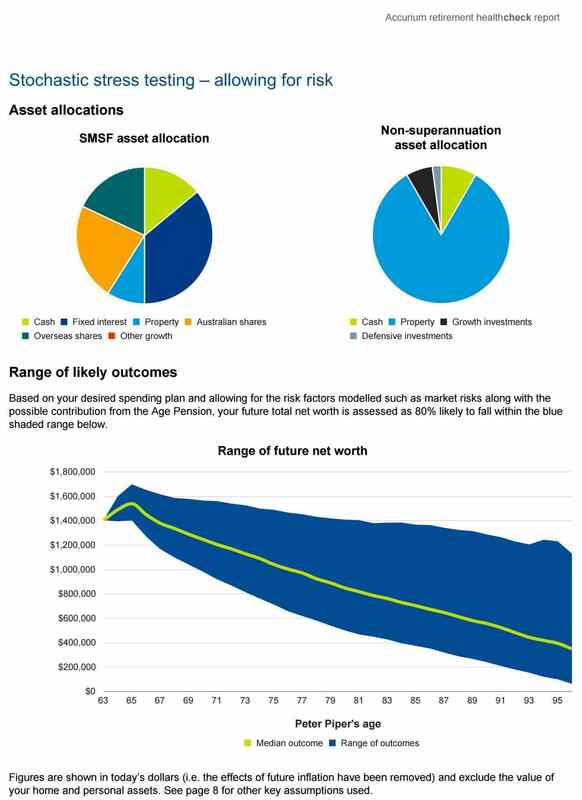 This is supplemented by some age pension entitlements from age 83 onwards as their pension balances decline. Finally, when we talk to clients, they want to know the best and worst case scenarios. How does that look for Peter and Tricia using the Accurium reports? How confident can Peter and Tricia be and what are the likely, as well as best and worst, case scenarios? 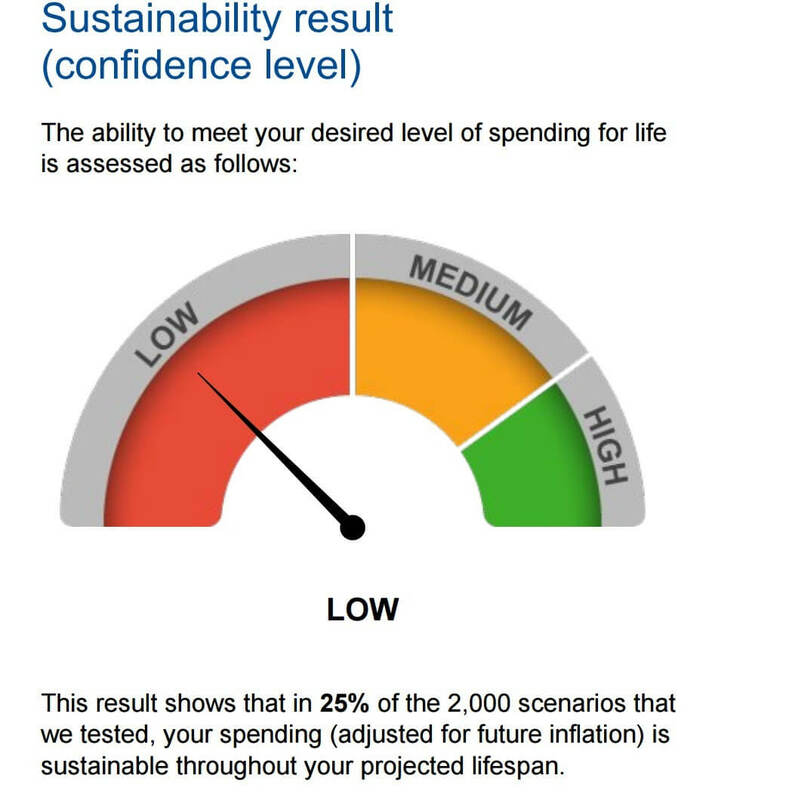 You can see that based on the forecasting there is an 80 per cent likelihood that Peter and Tricia spending an initial $70,000 per year will see their money last past their life expectancies. In the worst-case scenario, the money will run out at about aged 96 and in the best case, it will last well past 100. When I sit down with clients and use these reports, it helps focus their attention on long-term requirements and makes them really examine what sort of lifestyle they want in retirement. For many, it may mean transitioning to part-time work rather than a clean-cut finish. We can clone and play with the scenarios in client review meetings to see how certain work, investment or spending choices can affect the long-term sustainability of their retirement income. Having these projection tools help those nearing retirement engage in the retirement decisions they need to make. How can I help my children without hurting my retirement?